A week ago, I found myself sitting on the front steps of GVCM Orphanage in Haiti. The journey to that moment was a blur. I wasn’t sure why God had planned for me to be on that mission trip; I’d simply said yes to His calling. The heat had zapped much of my energy, which forced me to be still for a while. That’s when I noticed him sitting across the dirt path from me. He quietly played in the grass and it struck me…why wasn’t he in school? The rest of the kids had already packed into the small, overwhelmingly hot school rooms over an hour before; yet, Bob remained here. Alone. I asked a teammate why this fourteen-year-old boy wasn’t in class and was informed that Bob isn’t able to go to school, because he has a disability. Instantly, my heart ached and my desire for justice rose to the surface. I dug deeper and learned that, due to the severe financial struggles in Haiti, there is barely enough funding to send their typically developing children to school. 700 children attend a school located just outside the orphanage that was built to fit 300 students. The teacher-student ratio is so low that the children aren’t offered much accountability in their studies and obtaining even the simplest school supplies poses a major challenge. Even those who emerge having learned some basic skills, find themselves with little-to-no opportunities at further education or a future career. Due to these circumstances, children with special needs are left without the support and resources that would enable them to attend classes. Since coming back to the US, my heart’s been heavy, thinking about the massive needs of the children in Haiti, particularly the children I’d come to know and love within the orphanage. 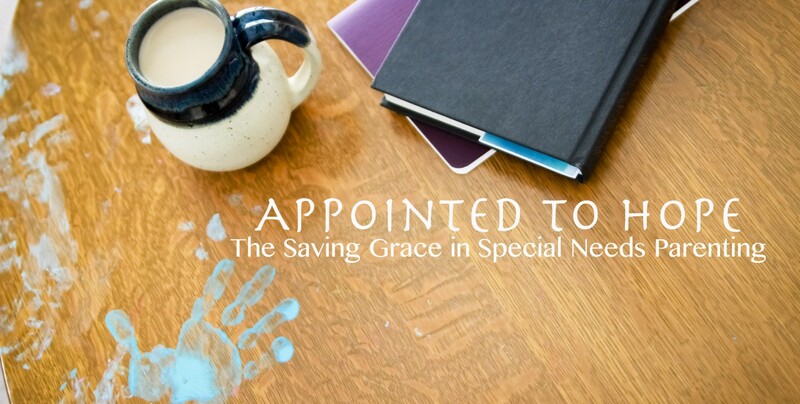 I’ve spent much time in prayer, asking God how He could choose me to tackle such an enormous task as advocating for the education of special needs children so far from home. The need is so big, and I feel so small. Thankfully, I’ve been reminded that nothing is too big for our God. And, if I am to truly exercise my faith, I need to follow Him; even when He asks me to be a part of making what seems impossible, possible. The next question I had was, “Where do I start? !” I had no idea where to begin, or what this plan could possibly look like. After all, this assignment was completely unexpected. My mind immediately leapt to making a huge to do list, diving in to hours of research, creation of awareness campaigns…every thought became overwhelming. I knew I needed to be still with Jesus and simply listen. A single step outside His will would hinder any accomplishment. This was HIS plan and, I knew from experience, that the only way to make a true impact would be to do it HIS way. Through God’s gracious love, I have the chance to make another trip to the orphanage in a few weeks. I knew this would be the first step of many towards learning God’s will for myself and the precious children of Haiti. I went to a worship and study service at my home church last night with the goal of listening for His voice and learning what He wanted me to do next. I laid our upcoming trip before Him and asked for provision, protection, and direction. In my mind, things can be so complicated. I felt as though there needed to be a long to-do list for our time at the orphanage. Placing all that aside, I waited to hear what God wanted on that list…but He pushed many of the things on that list to the bottom and was very clear of one simple truth that we all tend to forget or discredit: The biggest need that these children have, that every one of us has, is love. “Why did I choose you? You tried to take your own life because you felt unloved. Who better to carry the gift of My love to these children? So, the plan is love. Love them until God gives us a next step, a grand design, or anything in between. His greatest commandment has always been to love one another. My job is simply to live it out. I’ll have more to share about what God’s doing in Haiti soon!!! Previous Post Happy Mother’s Day!! !